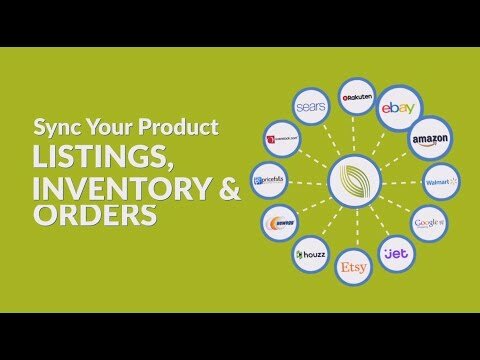 ChannelSale offers a powerful software solution and advanced expert services for online sellers to automate the synchronization of product lists, inventories, and orders across global ecommerce sites such as Amazon, eBay, Walmart, Google, Facebook, Jet and more, from one streamlined interface. The user can create optimized product listings on major online shopping sites and sync multi-channel orders, as well as tracking shipped orders. With this platform, the user can get detailed reports on product sales performance with best practice strategies. The ChannelSale platform offers optimized product listing across multiple sales channels, as well as detailed analysis capabilities on how, when and where sales occur. It also provides insight on which channels and which SKU are performing well, and where the response is poor. The user can have a macro and micro view of their business and make informed decisions about which channels to focus on. The system automatically converts the user’s product data to the specified product flow file format on the market according to category-specific templates. It enables users to control product lists easily across marketplaces via a central product data feed file that is imported into ChannelSale via CSV, TXT, XL and XML formats. My experience with ChannelSale was very productive. I must admit that I signed in mainly because I was lured by the price package for the services. 249$ per month for the wealth of all inclusive benefits looked awesome in comparison with certain other e commerce solution providers that charge by the 1000s. Through my experience, I feel that they are relatively hassle free service provider. Through my experience, I feel that they are relatively hassle free service provider. You wish to avail anything over and above what your package permits, you may have to cough up a little more cash for it. Thanks for your review Martha. Launch: $99/month (or $79/month when billed annually) for up to $3000 total sale revenue/month and a 300 product count limit. Silver: $249/month (or $199/month when billed annually) for up to $25,000 total sale revenue/month and unlimited product count. Gold: $449/month (or $339/month when billed annually) for up to $50,000 total sale revenue/month and unlimited product count. Enterprise: $799/month (or $659/month when billed annually) for unlimited total sale revenue/month and unlimited product count. • The platform offers fully flexible means to control inventory and accommodate every need of the user’s business and different channels. • As the quantity of a product reaches zero, ChannelSale automatically updates market listings with ‘out of stock’ status. • With ChannelSale, the user can easily define product variants such as size, model, color, price, etc. • The user can continue to add new columns/fields for any custom product attribute, and the platform will automatically sync this data. • Inventory can be collectively controlled for lot sizes, product kits, or grouped items when sold individually or bundled together in a kit. Below are some frequently asked questions for ChannelSale. Q. What type of pricing plans does ChannelSale offer? Q. Who are the typical users of ChannelSale? Q. What languages does ChannelSale support? Q. Does ChannelSale support mobile devices? Q. Does ChannelSale offer an API? Yes, ChannelSale has an API available for use. Q. What other apps does ChannelSale integrate with? Q. What level of support does ChannelSale offer?